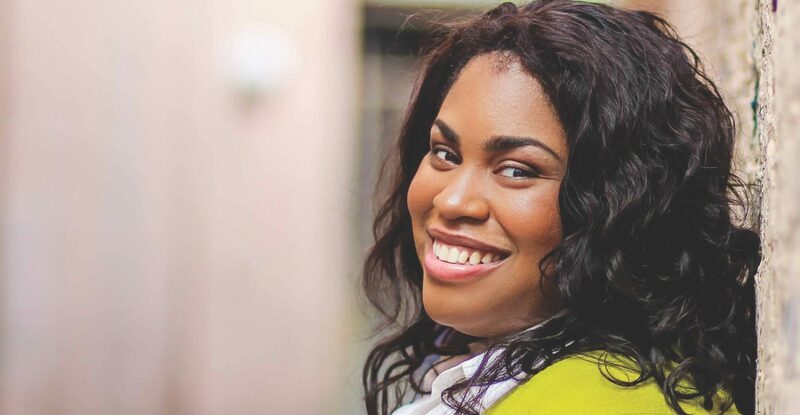 Angie Thomas, the 2018 CCCU Young Alumni Award recipient, started her bestselling young-adult novel The Hate U Give as a senior project based on her own life experiences when she was a student at Belhaven University in Jackson, Mississippi. 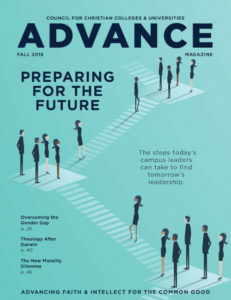 Morgan Feddes Satre, managing editor of Advance, interviewed Thomas via email about the CCCU award, the impact of her book, and the role of Christian higher education in engaging issues of diversity. How did you feel when you first found out you had been named the winner? I was absolutely stunned to learn that I won the award. I’m honestly stunned when I win anything, but this was a new level of shock. To be quite frank, I know that the language in my novel makes some people uncomfortable; therefore the thought of winning an award from an organization such as CCCU seemed far-fetched. However, it was a humbling reminder for me to not make assumptions so quickly, even when it comes to my fellow Christians. You mentioned that you started The Hate U Give as a way to help some of your friends at Belhaven better understand why there was so much unrest over the death of Oscar Grant, a young man killed in California by police who was the subject of the film Fruitvale Station. How have you seen this story helping people – particularly people like your friends at Belhaven – understand perspectives outside their own? I’ve seen and heard of so many instances in which my book has completely changed people’s perspectives to the point that I’m honored to even be in this position. I’ve had people who just simply didn’t understand Black Lives Matter now say that they get it; I’ve had children of white supremacists tell me my book opened their eyes and changed their hearts. That’s incredible. I often say that empathy is more powerful than sympathy, and I am blessed to know that my book has helped create a little more empathy in the world. We see countless stories in the news about deaths and situations like those depicted in your book. Why do you think a work of fiction like The Hate U Give is able to impact people and make them consider other sides of the story in ways these news stories might not? I hope that the book makes these stories feel more personal. Why would someone be angry enough to riot in their own community? They took something personally. The anger and frustration and pain that so many of us feel is on a personal level. By showing things from an insider’s view and by placing the reader in Starr’s shoes for 400-something pages, my hope was that it would no longer feel like a political issue. These are human beings, not hashtags. Like all of higher education in the U.S., Christian colleges and universities have been striving to increase the diversity on their campus at both the student level and at the faculty and administrative level, and have been addressing the opportunities and the challenges that come with such a call. As an alumna of one of our schools, how would you encourage decision-makers on campus to think about and engage these issues? I would encourage the decision-makers to have hard conversations and deep reflection. I would encourage them to find out what it’s like to be a marginalized person on their campus, and once they do find out, don’t try to explain things away. It makes us more comfortable to assume that someone is exaggerating, especially when it comes to a topic as sensitive as racism. But we can no longer afford to be comfortable. Since Christians are called to be the light of the world, we should first and foremost address racism on our campuses and our places of worship before the rest of the world addresses it. Be first, not last to make diversity a priority. None of the work that Jesus did was easy. Overcoming racism, racial bias, prejudices, systemic racism, and all other forms of bigotry will not be easy. But as Christians, since when should we take the easy route? Angie Thomas is the author of The Hate U Give and the forthcoming book, On the Come Up, which will be released in February 2019.